Millions of Americans continue to be affected by extreme winter conditions, since a major snow storm has hit the capital and other states in the north and the east part of the country such as New York, Kentucky, and Pennsylvania. Approximately 85 million people will be affected by the huge blizzard. At least 9 people have died as a consequence of car crashes related to the weather conditions in the last two days. Also, eleven states have beeen declared on a emergency state. It is expected that up to 30 inches of snow could cover some territories of Virginia, Philadelphia and Washington. 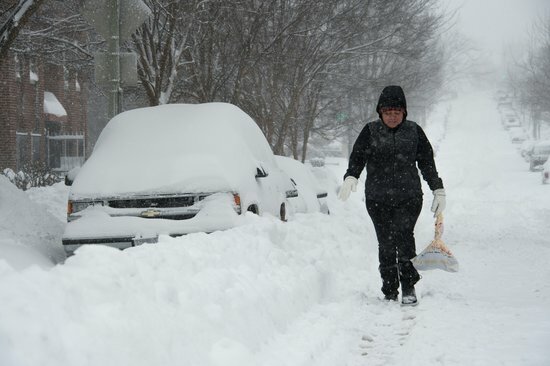 The mayor of the District of Columbia, Muriel Bowser, said that the blizzard has “life and death implications”, since a snow storm of that magnitude had not occurred since 1922, when the streets of some cities in the country were covered by 28 inches of snow and several structures collapsed. “A powerful low pressure system will bring heavy snow and blizzard conditions from the Middle Atlantic Region all the way through southern New England. The heaviest snow is expected to fall over the Middle Atlantic Region including the Washington DC and Baltimore metro areas west to the Blue Ridge mountains. In addition, moderate coastal flooding is expected. The storm will taper off by Sunday,” announced the National Weather Service on Saturday. Several roads have been closed and some airports have stopped in big cities across the East Coast. Philadelphia, Baltimore and Washington D.C. have shut down public transportations systems and people have been encouraged to stay at home. As a result, thousands of people have been buying products in big quantities such as milk, bottled water and bread, in case they need to stay in home for a few more days. By Saturday, more than 3,767 flights have been delayed and more than 4,855 have been cancelled in the United States, according to the website Flightaware. This has happened mostly in big airports such as the Philadelphia International, Washington Dulles, Washington Reagan National and Baltimore-Washington International. Eleven states have already declared state of emergency: Georgia, Tennessee, Pennsylvania, Maryland, Kentucky, North Carolina, New Jersey, New York, Delaware, Virginia and West Virginia and Washington. Also, some energy companies have reported that more than 200,000 people in 13 states were without power on Saturday. Unfortunately, nine people have died in the states of Tennessee, Kentucky, North Carolina and Virginia, as a consequence of crashes related to the blizzard, according to the Associated Press. Just in Virginia, almost a thousand crashes have occurred. Governors of storm-affected states have declared that people should stay at home in order to be safe. Andrew Cuomo from New York City said that people should not leave their houses if they don’t need to, even if they have potent four-wheel vehicles, since the roads are “barely passable”. “We’ve had a forecast we haven’t seen in 90 years. It has life and death implications, and people should treat it that way. People should hunker down, shelter in place and stay off the roads. Our chief concern is making sure Washingtonians are safe throughout this event,” said Muriel Bowser, Mayor of the District of Columbia, on Friday.